HomeOn the march: Ad blocking tools continue their rise in popularity. On the march: Ad blocking tools continue their rise in popularity. I’ve blogged before about the rise of online ad blocking tools and their growing popularity with consumers. 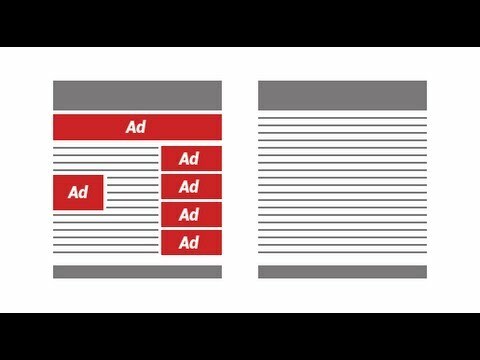 One example: AdTrap – a device that intercepts online ads before they reach any devices that access a person’s Internet connection. In the months and years since I first blogged about it, ad blocking has only become more popular – so much so that it’s no longer just a mild irritant to advertisers and publishers, but rather a commercial threat that has a significant impact on publishers’ financial bottom lines. It’s hardly surprising. Most people want to run as far away from advertising as they can. For years, we’ve taken trips to the kitchen or bathroom during TV commercial breaks. We’ve TiVo’d ads out of existence. And the participation levels in online ad blocking bear this out now as well. According to data from PageFair, a company that measures publishers’ ad blocking rates and provides alternative non-intrusive advertising options, the number of ad blocker tool users reached nearly 145 million people in 2014. That’s more than five times the 21 million users of ad blocker tools we had in 2010. Growth continues apace: Adblock Plus, which is the biggest of the ad blocking tools, reports more than 2.3 million downloads each week, on average. Where are people blocking online ads? In all sorts of areas. But the most frequent incidence of ad blocking is on gaming sites, where blocking rates are in excess of 50%. But blocking is happening on other online sites, too, including entertainment, fashion and lifestyle sites – albeit at about half the degree as on gaming sites. Some observers speculate that the higher incidence of ad blocking in certain countries may be tied to those nations’ sociological profiles. “I personally suspect that in some of these countries, citizens are more concerned about their personal privacy – perhaps for historical reasons,” Sean Blanchfield, PageFair’s CEO, has remarked. One might wonder if, in the age of Edward Snowden and the Patriot Act (now superseded by new legislation ironically called the “USA Freedom Act”), Americans’ ad blocking practices might now be poised to align more closely with Europeans’. I imagine we’ll know more about that degree of convergence within a year or two.